will continue to live for eternity. Whether your spirit resides in heaven or in hell depends on the choices you have made. 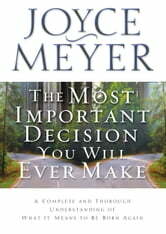 In this book, best-selling author Joyce Meyer outlines God's plan for salvation so you can make the right decision.